She has nothing left but faith: With her father’s death, Anna Newfield loses everything—her home, her inheritance, and her future. 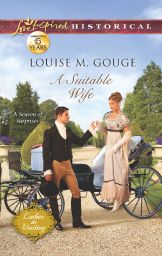 Her only piece of good fortune is a job offer from wounded major Edmond Grenville, whose mother requires a companion. The Dowager Lady Greystone is controlling and unwelcoming, but Anna can enjoy Edmond’s company, even if she knows the aristocratic war hero can never return her love. Even amid the glittering ballrooms of London, nothing glows brighter for Edmond than Anna’s gentle courage. Loving her means going against his family’s rigid command. Yet how can he walk away when his heart may have found its true companion? Lady Beatrice Gregory has beauty, brains—and a wastrel brother. 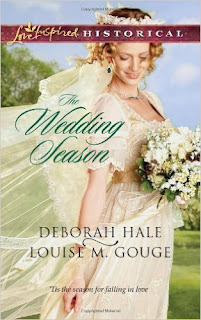 With her family fortune squandered, her only chance of a Season is as a lowly companion. London's glittering balls and parties are bittersweet when Beatrice has no hope of a match. Still, helping Lord Greystone with his charitable work brings her genuine pleasure…perhaps more than she dares to admit. Even when every marriageable miss in London is paraded before him, the only woman to capture Lord Greystone's attention is the one he shouldn't pursue. Attaching himself to a ruined family would jeopardize his ambitions. Yet Lady Beatrice may be the only wife to suit his lord's heart. Falling for the Enemy: Catherine Du Coeur is determined to uncover the truth about wealthy Lord Winston, who falsely accused her father of treason. But the closer she gets to the handsome young nobleman, the more she wonders how such a benevolent gentleman could have conspired to commit such evil. Baron Lord Winston has had little success in finding an accomplished aristocratic bride who is suited to his diplomatic aspirations. 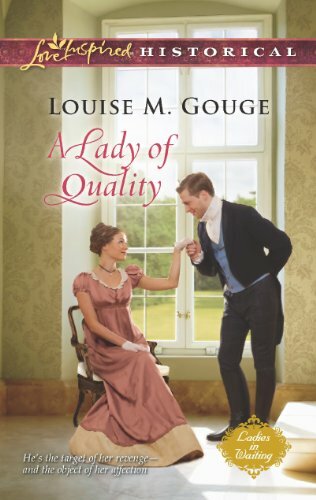 But when he meets Miss Du Coeur, a countess’s lowly companion, he finds that family connections are far less important than matters of the heart. Surely Elizabeth Moberly was born to be a nobleman's bride. She can't possibly be attracted to the untitled stranger who interrupts her cousin's wedding. Yet Elizabeth finds herself drawn to Philip Lindsey's tender heart and strong faith. And if Philip has his way, he'll convince Elizabeth the only title she needs is Mrs. Lindsey, beloved wife.